Philippine Travel Mart is celebrating its SILVER ANNIVERSARY!!! This has been one of the biggest events of the year. There are lots of exciting promos and giveaways await to all of us! 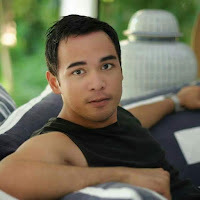 Philippine Tour Operators Association (PHILTOA) is the biggest association of tour operators and agencies that promote exclusively domestic and inbound tourism. It has a nationwide membership and has been at the frontier of Domestic tourism promotion, partnering with DOT, and its regional offices. PHILTOA is please to announce that the yearly Philippines Travel Mart, the biggest travel trade exhibition in the promotion and marketing of domestic and inbound tourism will be on its 25th year of staging. Yes, it is the silver anniversary of the Philippine Travel Mart, making it the longest running travel trade exhibition in the Philippines. The organizing committee of the 25th Philippine Travel Mart is making sure that this year’s staging will be the biggest and most meaningful, worthy of its silver anniversary celebration. 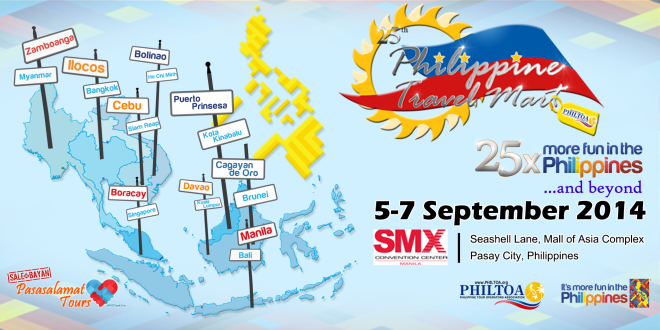 In view of the forthcoming implementation of the ASEAN Integration in 2015, which aims to promote seamless and borderless travelling within the region and adoption of the Mutual Recognition Agreement among the ASEAN nation members, the 25th Philippine Travel Mart for the first time will now include ASEAN regional packages and Twin City packages (Philippines+1 ASEAN City). We have more colorful exhibits, 25 “Pasasalamat” Sale ng Bayan Tour packages, bigger & exciting cultural events to make sure that 25th Philippine Travel is 25 times More Fun In the Philippines. Please click the link below for Travel Mart Pics experience 2013!